Just a few more weeks, and it will be Thanksgiving! I don’t know about you, but that’s when I start thinking about Christmas gifts, shopping and wrapping. 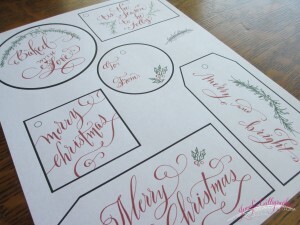 I wanted to create something that would add a special touch to this year’s Christmas gifts, so for a couple evenings I played around with various Christmas calligraphy designs. Once scanned into my computer, I used Photoshop to add some colors and compile them onto one page. 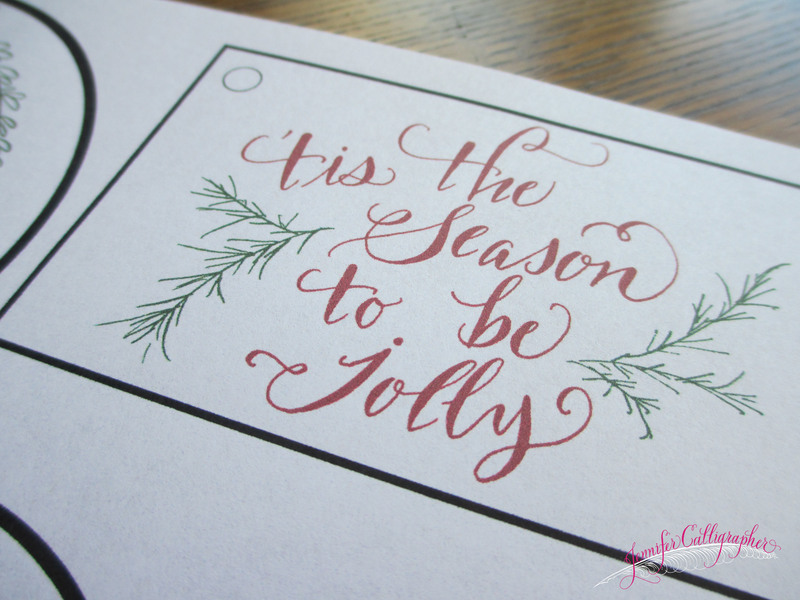 I just love how festive these holiday tags are! 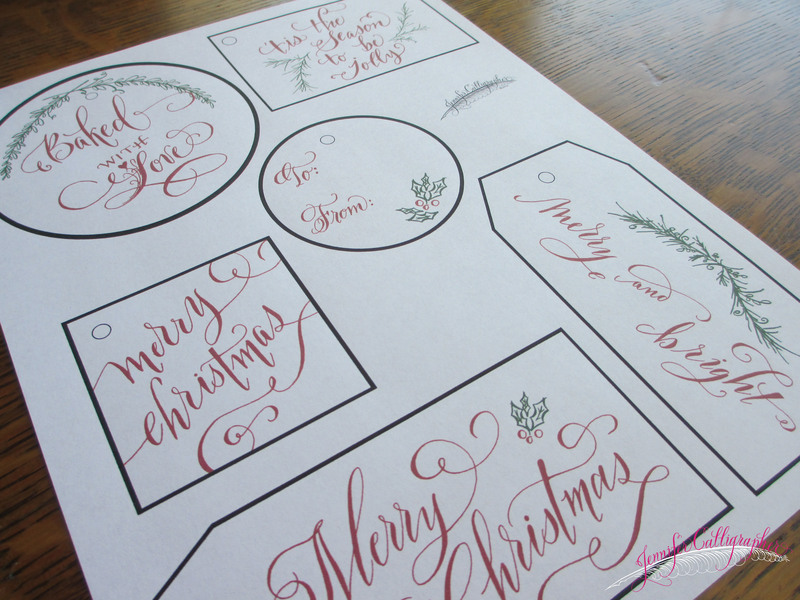 To purchase and print your own calligraphy Christmas tags, stop over at the Etsy Shop! You’re going to enjoy decorating your packages with them this year! This entry was posted in Calligraphy, Calligraphy Projects. Bookmark the permalink. I work from my home studio in north Irving, outside of Dallas, TX and happily provide my services for clients nation-wide. Please email me to check for availability! Thanks!! 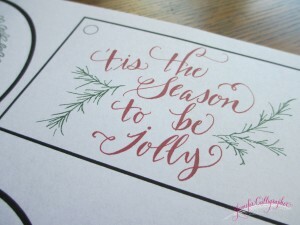 Visit JenniferCalligrapher's profile on Pinterest. © 2019 Jennifer Calligrapher. All Rights Reserved.